Of Messy Beds and Bravery. And as I am saying the words, they are coming right back to my own heart. Parenthood is awesome for that. I realize again that I am in many ways, like Corbett, all talk. I say all kinds of stuff, then I don’t do it. There are countless examples. Here is one. In my twenties, I worked as a nurse, and once I figured out how much I hated it, I would say things like “After I get married and have kids, I am going to stay home with them and write and illustrate children’s stories.” I pictured myself in the second or third floor of a big old home surrounded by trees, my desk next to a window where I would work and occasionally gaze outside for inspiration while my children happily played on the floor behind me. Fifteen years later, this has not occurred. I did get married and I did have kids, and not once did I sit at a desk and write while my kids played. It was seriously all I could do to keep them alive for the WHOLE DAY and make dinner. Thankfully, I was able to do that successfully enough for several years. My girls are still alive and spend the day in 1st and 2nd grade. And now my husband has come up with this crazy idea: Let’s use this time to write and illustrate children’s stories together. Wait, what? Before I met Jon, the first thing I heard about him was that he had built his own Olympic Torch and had gone downtown to run with it 5 minutes ahead of the guy who was carrying the real torch to the Olympics. I loved him immediately. My friends and I agreed that it sounded like something I would do. We were all desperately wrong. Taken newspaper with picture of Torch to Home Depot to buy parts to build my own. Constructed Torch in Parents’ garage. Chosen appropriate outfit for Torch Run (T-shirt that says ‘Mexico’ ). Prepared get-away vehicle for in case things go badly. Run, while shouting “Happy Olympics” to the crowd. This of course, is exactly what Jon did. So here’s the thing. Maybe I should be more careful about what I profess to want to do. If I had never said I wanted to do this, I would feel fine about being reluctant to write stories now. But I think that the issue is not whether or not I want to do it. The truth is that I am just plain terrified of failing. Maybe it all comes down to what we fear. But the stakes are much higher than they were in my nursing days. I have two little girls watching me. Girls who I want to be brave. And all of a sudden, bowing to my fears has a new cost that it never had before. So now, our whole family has a new Torch. It’s called RocketWagon. It’s a little company where we make stories and games together (hopefully for profit). And we are going to run down the street with it together. (Warmest thanks to those of you who have already started cheering). I am being offered an opportunity to become a person who does what she said she would do. And since these girls are following my lead, Corbett may end up being the kind of person who makes her bed. Even better. ← RocketWagon timidly announces Kalley’s Machine Plus Cats! 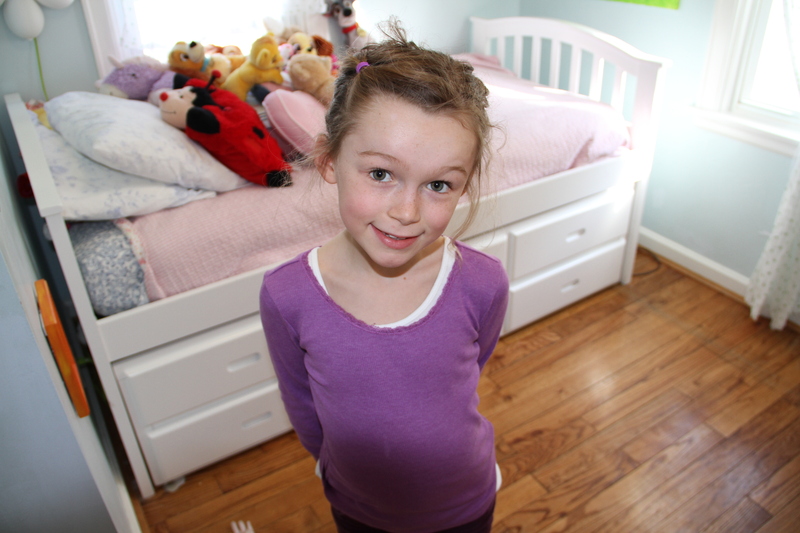 10 Responses to Of Messy Beds and Bravery. LOVE IT! So glad to have read the first official blog of Rocketwagon! You are adorable and I can’t wait to read more! I’ve learned that supportive community and accountability are the key to getting things done… It’s your time… write and illustrate those books! And I support you! Carrie, I believe you are braver than you realize. You are a ROCK STAR! Good luck with the family business! You are a wonderful writer. Carry the torch! I love this post and am so excited that you’ve started publishing your words! Thank you for sharing with us! Kelly, John, Tabitha, Andrea, and Carrie, THANK YOU for your kind words. I appreciate it so much….it’s kind of awkward to put yourself out there like this…you all made this a lot more fun for me. Carrie, I am thrilled you are doing this – that you and your family have THIS opportunity for a family business! It just fits your God given, amazing gift of creativity so well, and may He use it for His glory! Even though I don’t get to see you much these days, you still influence me from afar, little do you know it! Just your facebook posts when I see them, often bring inspiration, encouragement, uplifting and just plain fun to my day! From the first time I met you, it was clear that you just oozed with energy, imagination and effortless creativity! I hope that you will find joy and bravery in this venture)! I loved this first blog post. You are a wonderful writer- and mom! Carrie, this is so exciting! You are a great writer! I am very moved by your words and the responses here. Keep doing your dream… with your sweet family How perfect!!! We love you guys! You are brave and clever! You both know how to tell great stories. An episode of Little House on the Prairie came to mind as I considered Charles Ingalls regarding his father not as a failing farmer but as a man who showed him love and kindness as a child and look how great Charles turned out to be! Blessings on your chance to live your dream! A very noble dream too.